The demand within the global market for pharmaceutical CDMO services has been rising on account of the need develop safe and effective drugs for the treatment of multiple diseases and disorders. Contract Development and Manufacturing Organisations (CDMO) are offshoots of the pharmaceutical industry that help pharmaceutical companies in manufacturing, research, and development of drugs and other pharmaceutical products. CDMO provides key services such as research about key drugs, development of specialised drugs, and final manufacturing of these drugs. The pharmaceutical industry has to cater to a wide range of operations which often results in aggravated quality of drugs or medications. Hence, in order to ensure that the manufacture of drugs is supported by a robust system that focuses on quality, performance, and safety of drugs, pharma companies have resortd to contract manufacturing. The use of contract development and manufacturing services not only helps pharmaceutical companies in maintaining drug-quality but also reduces their operational costs. Owing to the aforementioned factors, the demand within the global market for pharmaceutical CDMO services is anticipated to touch new heights in the years to come. The global market for pharmaceutical CDMO services may be segmented on the basis of the following parameters: service-type, product type, and geography. It is essential to understand each of these segments in order to get deep insights about the global pharmaceutical CDMO services market. 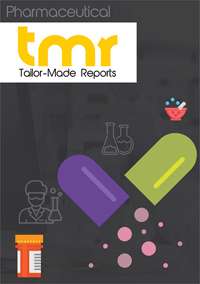 A report on the global market for pharmaceutical CDMO services sheds value on multiple dynamics and trends that have aided the growth of the global market. Moreover, the resonant factors relating to the pharmaceutical industry that have aided market growth are also elucidated in the report. The demand within the global market for pharmaceutical CDMO services has been rising on account of the need to minimize production costs within the pharmaceutical industry. There have been several cases of demand-supply deficit in the pharmaceutical industry of various regions, and there is a dire need to match the supply of drugs to the demand within the market. This factor has led to the outsourcing of pharmaceutical production to contract manufacturing organisations which has in turn given an impetus to the growth of the global market for pharmaceutical CDMO services. The manufacture of innovative drugs involves the deployment of substantial financial resources, and hence, it is important to achieve viability of operations within the pharmaceutical industry. Hence, to reap benefits from drug development, pharmaceutical companies outsource their manufacturing operations to CDMOs. Furthermore, the development of generic drugs has also gathered swing in recent times which has also given an impetus to the growth of the global market for pharmaceutical CDMO services. On the basis of geography, the demand within the market for pharmaceutical CDMO services in Europe has been rising at a boisterous rate in recent times. This regional growth can be attributed due to the pragmatic approach towards contract manufacturing followed by pharmaceutical companies in England, France, Ireland, and Germany. Furthermore, the demand within the market for pharmaceutical CDMO services in Asia Pacific is also rising on account of the massive population in India and China. Some of the key players in the global market for pharmaceutical CDMO services are AMRI Global, Recipharm AB, Patheon N.V., Catalent, Inc., Aenova Group, Amatsigroup, Strides Pharma Science Limited, WuXi AppTec Group, Piramal Pharma Solutions, and Siegfried Ltd.